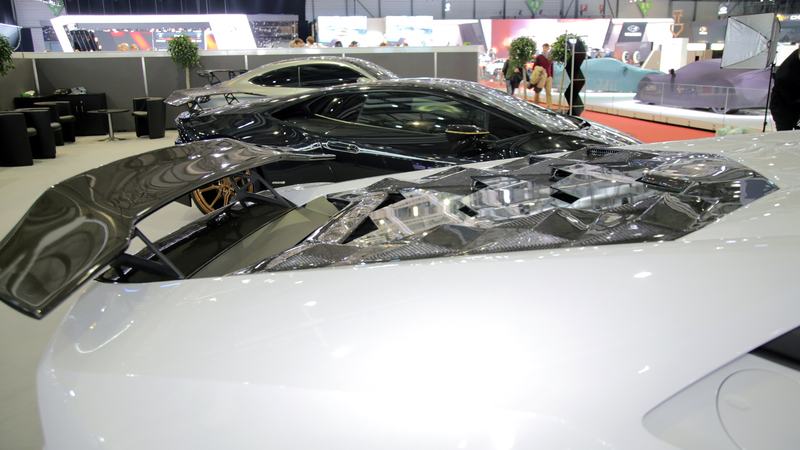 For 2017 renowned tuner DMC returns to Geneva in style, showcasing three totally different cars that have been modified with the same basic idea in mind: “making good things better”. 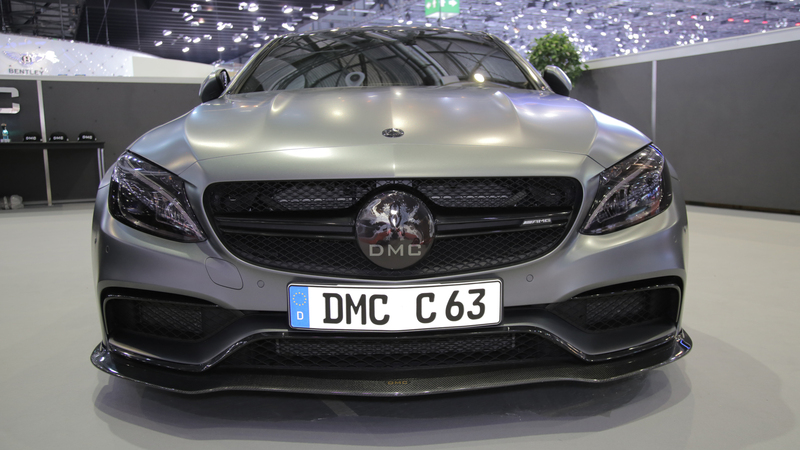 There are three cars on stand 2050 in Geneva this year, the massive C63 Extreme and two Lamborghini Huracan, among them DMC’s new QV5000: Extreme is a German super car that can be driven every day while the QV5000 is a super car in every meaning of the word, what’s even more impressive is the fact both boast a completely black livery from top to bottom. The new 2017 DMC kit for the Mercedes AMG C63 is a complete package from front to rear, including a massive front splitter with optional driving lights to make her look even more intimidating. 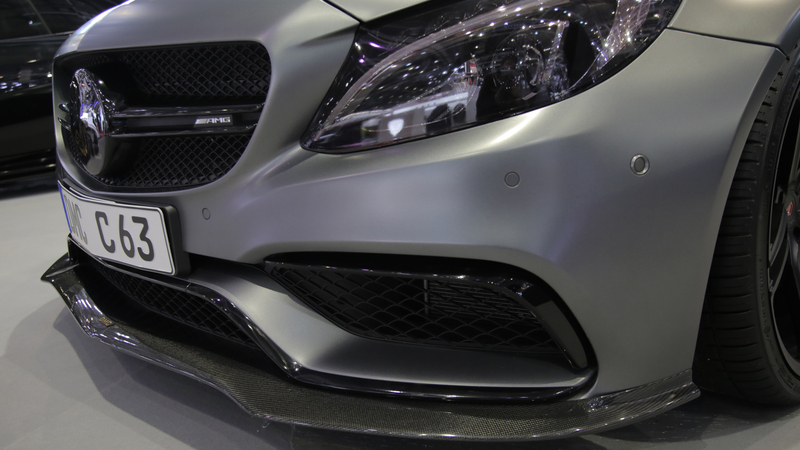 The lip adds more downforce at the front for that ‘ultra wide’ look on the Mercedes C-Class while the new DMC rear fascia changes the style of the original car for the better, with the add-on rear diffuser being the ultimate option, naturally all parts are available in clear carbon fiber or in CFK meant for painting. But the transformation offered by DMC isn’t done yet, some of the best parts are yet to come: How about a new, more aggressive wing spoiler, in carbon fiber naturally, and while we are adding options to the DMC Extrem you just have to include the custom made DMC wheels that replace the original factory rims and really makes the AMG C63 look mean when it comes up in your side view mirror. 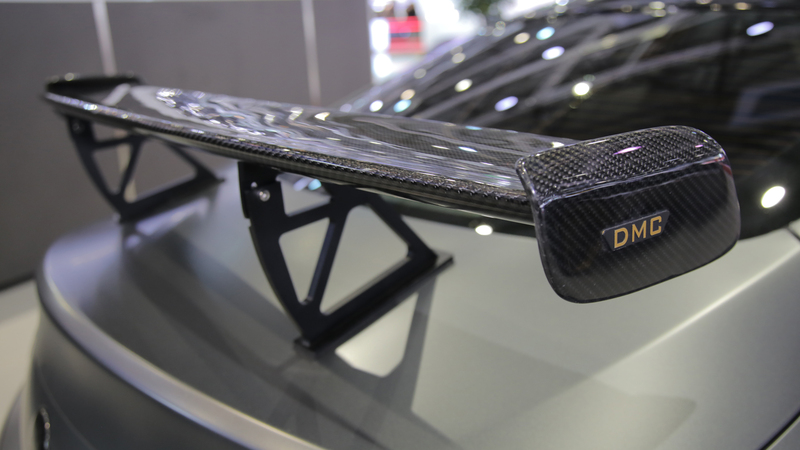 Together with the diffuser option you absolutely need the DMC roof wing for that added touch of aggressiveness while the clear carbon fiber spare wheel cover is the finishing touch, complete with DMC logo. 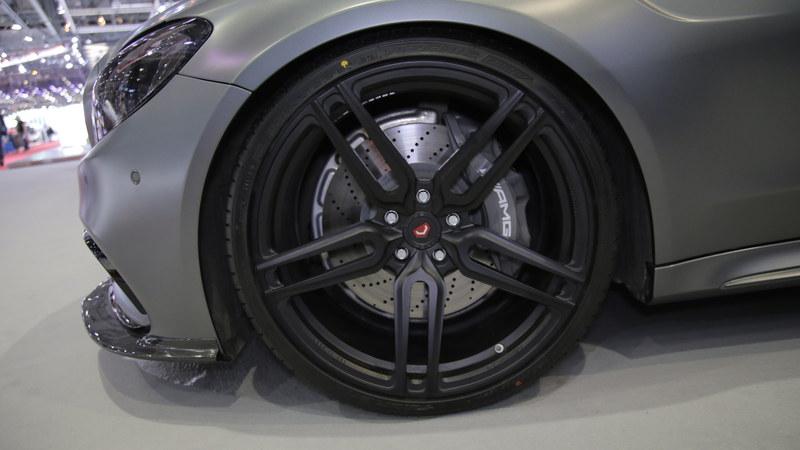 On a titanium black car like the one unveiled during the 2017 Geneva Auto Show, a set of massive black wheels complete the intimidating look of the 2017 DMC AMG C63 (W205), the stunning wheels show a stunning, concave design that fits the style of this car, 20 inch tall with massive 255/30/20 and 285/30/20 tires. And if that wouldn’t be enough, DMC also installed a new suspension kit to lower the car 20mm. 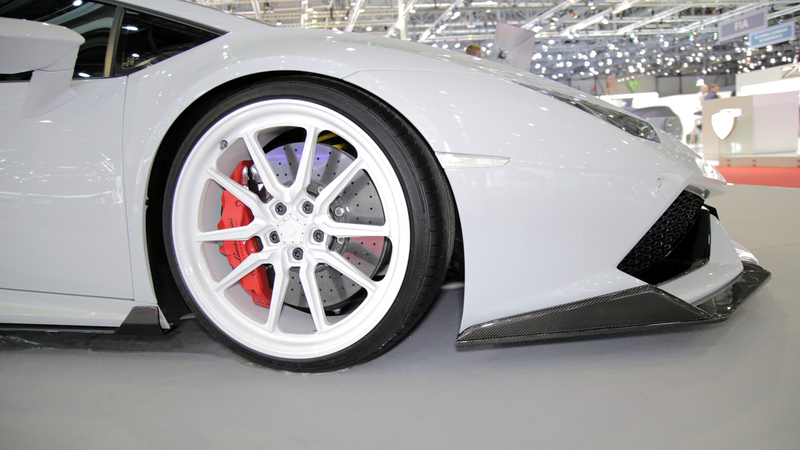 The set of rims shown here is courtesy of the wheel wizzards from VOSSEN, we dearly thank them for the great support. Add the dark tinted ‘privacy’ style windows and the 2017 DMC Extrem is the perfect car to draw attention, but still keep that mystery vibe by hiding in the luxurious interior. 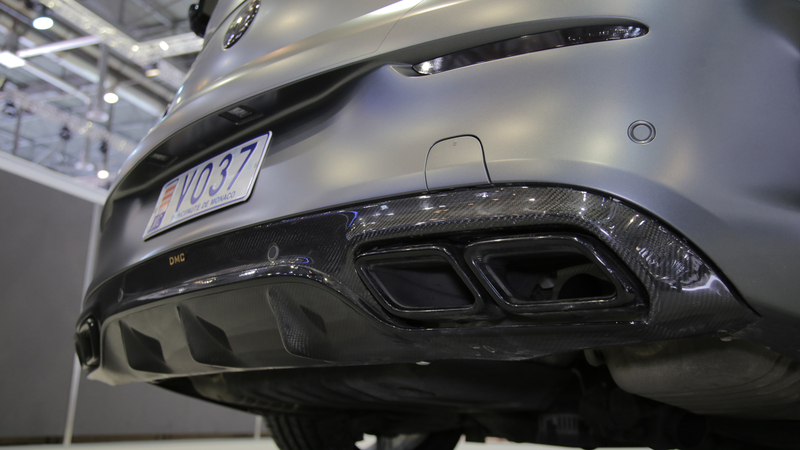 The car now boasts 600 hp, thanks to a revised ECU setup and a new stainless steel exhaust, let the biest free and beware! 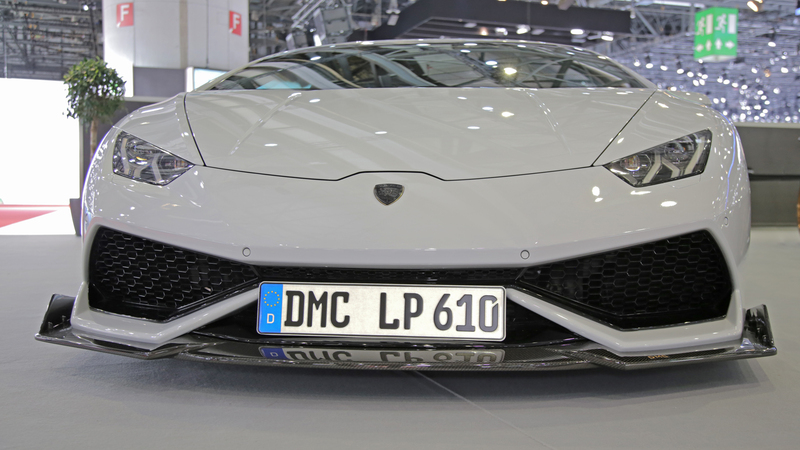 Next to the titanium-black mammoth, DMC shows two refined Lamborghini Huracans: One of them is the stunning white QV5000 Edition, and another one finished in sinister looking black, the DMC Berlin Edition. But all eyes are on the new QV5000 that DMC designed as an hommage / tribute to the legendary all white Lamborghini Countach. Up front we notice the addition of a lower fin to the factory bumper, but also the two vertical fins that direct air better to the sides of the DMC Huracan QV5000 Edition with the nicely styled side skirts with the small vertical fin at the front and a larger aero style fin just in front of the rear wheels. 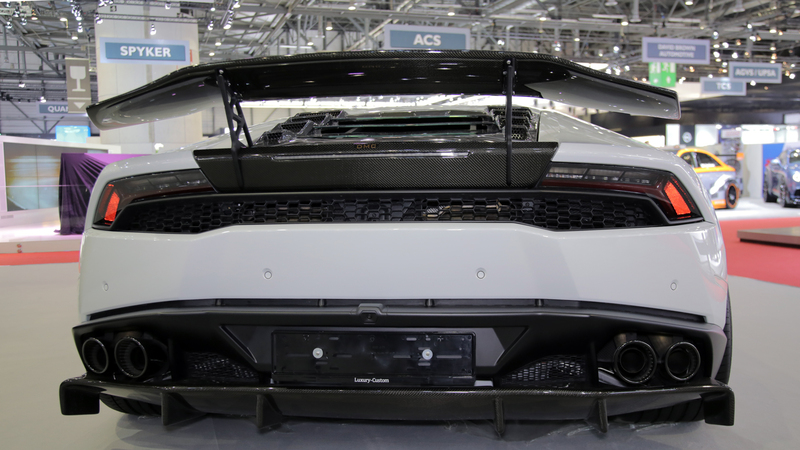 Naturally DMC also offers an impressive rear lower diffuser for the Lamborghini Huracan, while that famous DMC rear wing takes even more attention. 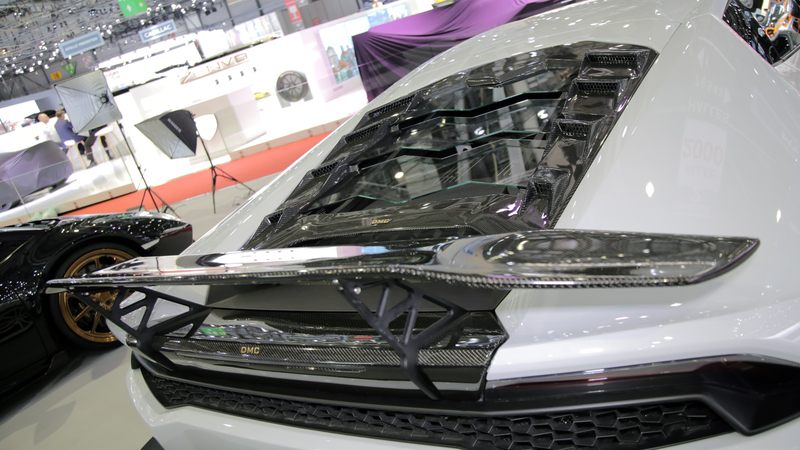 The DMC wing style has become legendary for Lamborghini owners, and it blends in nicely with the overall Huracan design, without looking aftermarket. The massive, black Y-spoke wheels certainly complete the look of this DMC Lamborghini LP610, 20 inch up front and 21 inch at the rear with wide 255/30ZR20 and 325/25ZR21 respectively. But the real deal on this car is the breath taking new engine cover. 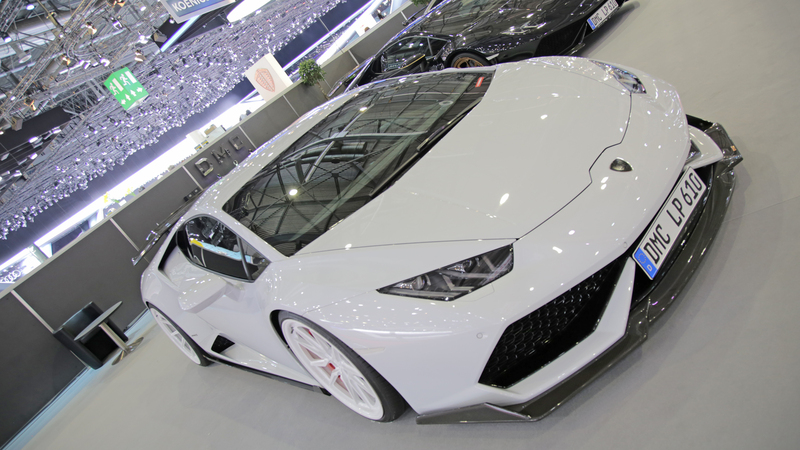 DMC never made a secret of their love to St. Agata and decided to come up with a design that is as crazy and amazin as the original LP670 Superveloce once had. And boy did they deliver. The car is available with a 1088 hp option which is achieved with a new set of twin-turbos, a reprogrammed ECU, new wiring, gear setup and it doesn’t even stop here. If you prefer a quick performance upgrade, you may opt for DMC’s LP680 package which is based on chip-tuning solely. What a a glorious return for DMC to Geneva, we hope you enjoyed the photos of the stunning works the German engineers have delivered in this years Geneva International Motor Show. If you have the chance, go and visit them on booth 2050 and get ready for some jaw dropping.